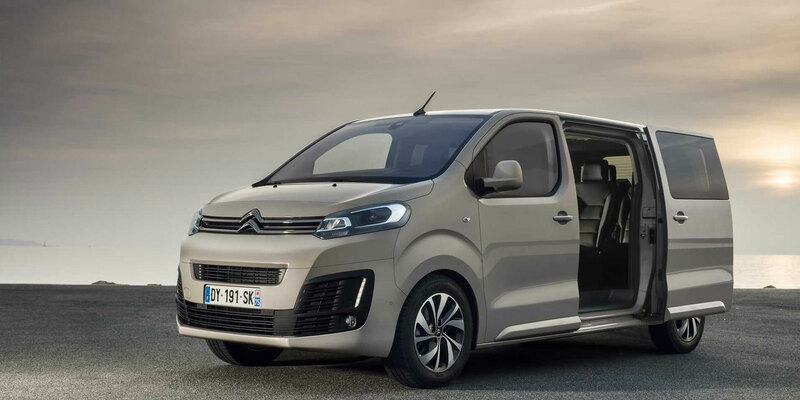 Let us introduce you to the new Citroën SpaceTourer, a seven-seater MPV which is available to order here at Motorparks and stands out from the crowd for so many reasons. The car’s fluid design is sure to draw the eye, while cutting-edge technology will help to make driving a lot less stressful and dynamic performance works to add the thrills to every road trip. The new Citroën SpaceTourer, a versatile 7-seater MPV, is available now from Motorparks Citroën and Oldham Motors Citroën. When setup in its BlueHDi 115 S&S 6 Speed Manual guise, the new Citroën SpaceTourer delivers the lowest fuel consumption in its segment — 55.4 mpg for CO2 emissions of 133 g/km. You can also make use of adaptive cruise control when getting from A to B in this MPV, which adapts the car’s speed to the vehicles in front. When travelling in unpredictable traffic conditions, such as along a busy stretch of motorway, this system can reduce the vehicle’s speed by up to 12.5mph too. The new Citroën SpaceTourer has been designed with an incredibly spacious cabin, which can accommodate up to eight passengers without any trouble. Then there’s the MPV’s fluid exterior design, which allows you to capture attention wherever you drive it. From its generous and sharply designed lines to its spectacular proportions and choice of eight refined colours, there’ll be a lot of people admiring the new SpaceTourer. We must mention the car’s vertical LED daytime running lights too, as they blend in a harmonious manner above the fog lamps to present the MPV with an adventurist look. Access the new SpaceTourer through its wide sliding side doors and you’ll be presented with a spacious cabin that has been designed in a manner that it takes every individual passenger into consideration. Exceptional levels of comfort are therefore assured for up to eight people aboard this MPV. Due to this vehicle featuring a large glass roof to go alongside its sliding side doors, both the driver and passengers can bask in natural light and take in panoramic views while on the road. You can find an abundance of handy technology within the cabin of the new Citroën SpaceTourer too. Get from A to B without any trouble by getting to grips with a 3D navigation system, connect your smartphone to the MPV with ease thanks to Mirror Screen technology, and view all the driving information you need to know without once taking your eyes off the road through a Head-up Display system. Are you often packing your car with luggage and other bulky equipment? Then you’ll also be pleased to hear that loading and unloading the new SpaceTourer is made so easy as the vehicle has been designed with a hands-free opening tailgate. Have you reached a decision to make the new Citroën SpaceTourer your next set of wheels? The next choice you’ll need to make is choosing between six equally impressive trim levels — there’s the Combi, Business, Feel, Rip Curl, Flair and Business Lounge models to select from. Learn how each trim stands out and discover much more about the new SpaceTourer by making an enquiry online today. You can also get a closer look at this MPV by visiting us at our Oldham Citroën dealership in Greater Manchester.